The Omagh bomb stands out in the last 20 years of Irish history as a tragedy, a tragedy not matched by anything since, and let us hope this remains the case. To many the words “Omagh bomb” are enough to conjure up disturbing images, such was the level of devastation it left in its wake. To question the events surrounding it or look further into the official version of events presented by the media and British government is akin to Holocaust denial. As an Irish republican I am naturally suspicious of the British government’s version of events of anything that happens in Ireland, but even I must admit that other than an odd flyaway comment of doubt, I never looked further into it or investigated. Last year I remember reading how Seamus Daly had been arrested. The news that he had been arrested while taking his pregnant wife to hospital to give birth was met in republican circles with outrage, social media was awash with condemnation. Days later Seamus was charged and remanded to jail, then in republican circles, with a few noble exceptions, silence. A number of weeks ago after Seamus had appeared in court to be further remanded, I spoke with his wife Aine. Slowly throughout the course of our conversations details emerged that would leave anyone scratching their head as to how a court could keep remanding him. 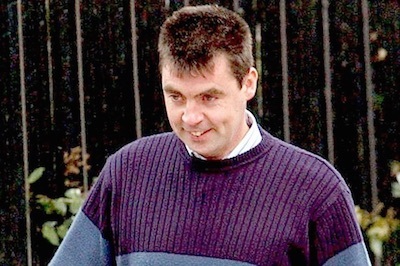 Since 1999, Seamus’s name has been bandied around the media in connection with the Omagh bomb. Previously arrested in 1999 all evidence had been put before him and he was found to have no case to answer. In subsequent years he has faced two civil suits. He was found not responsible, and on appeal he was found responsible after contradictory evidence from just one witness. This same man, I may add, is a known con-man, having been involved in a money racket involving counterfeit contractor licences, a con he openly admits and one he has never been brought to book for. Not only was his evidence implausible, placing his mobile phone in two places at once, but coming from a self-confessed con-man, one could be led to believe a deal had been struck! After all this and more not an eyebrow was raised for Seamus Daly by the media who at any time could have looked into these facts. There are current details surrounding the current case that I won’t go into at present for legal reasons but to say they are incredulous is an understatement. Seamus had been living in Jonesborough, County Armagh. Contrary to the prosecutions version of events he had been living quite openly, enjoying a family life and looking forward to the birth of a new baby. According to the police he had been eluding them. They could not locate him for over 5 years. In 2015 are we supposed to believe that the police, with all their technology, cross-border partnerships and with police co-operation at its highest level in decades, they could not find one man? Was Seamus Daly even to know they were looking for him? I don’t remember any local appeals in regards his whereabouts, or was this all a fabrication for the court to ensure that he wouldn’t be bailed as a flight risk? Why was Seamus Daly re-arrested at all? Considering no new evidence has been presented since he was found to have no case to answer in 1999. Is it because the Omagh bomb is high profile and they are clamouring to close the case? Seamus Daly is an Irish republican; he comes from a republican household. Is it a case of his face fits the bill. The investigation into the Omagh bomb has been inept to say the least. The British government are coming under increasing pressure to close the case. In an effort to cover up their own incompetence are they content to just get anybody? For many questioning the arrest of Seamus Daly through sustained government and media propaganda is tantamount to supporting the Omagh Bomb. In recent weeks media doors have been shut to a Daly family statement outlining a campaign, so afraid are the media of being accused of some kind of support for the “Omagh Bomber”. History proves that British justice in Ireland has been biased and at times cases against Irish citizens entirely fabricated, as was proven in cases such as the Birmingham 6 or Guildford 4. Stitch ups to close cases are not unprecedented. The nature of British justice has not changed since the Birmingham 6 or Guildford 4. Much as people would find it hard to believe that such could happen today in 2015, so too did people in the 70’s and 80’s. If we ignore this and turn a blind eye, Seamus Daly could potentially be the most recent victim of the Omagh bomb.